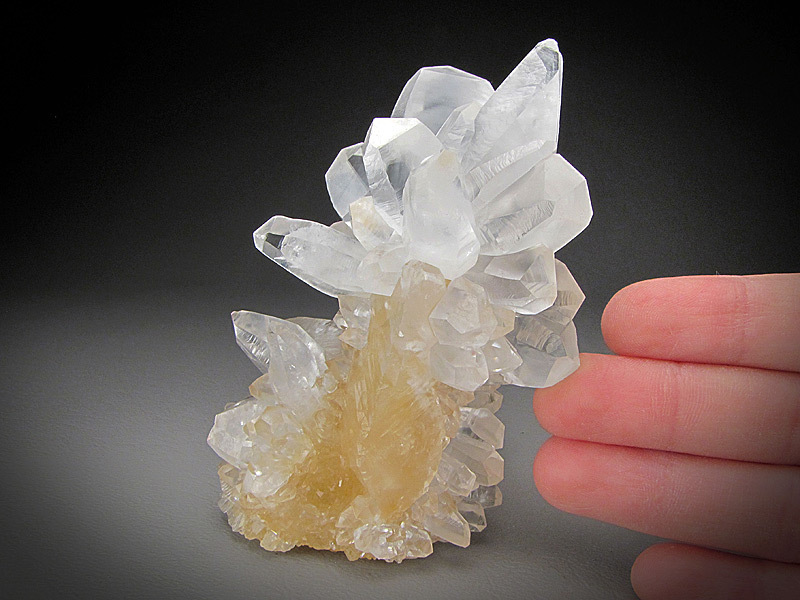 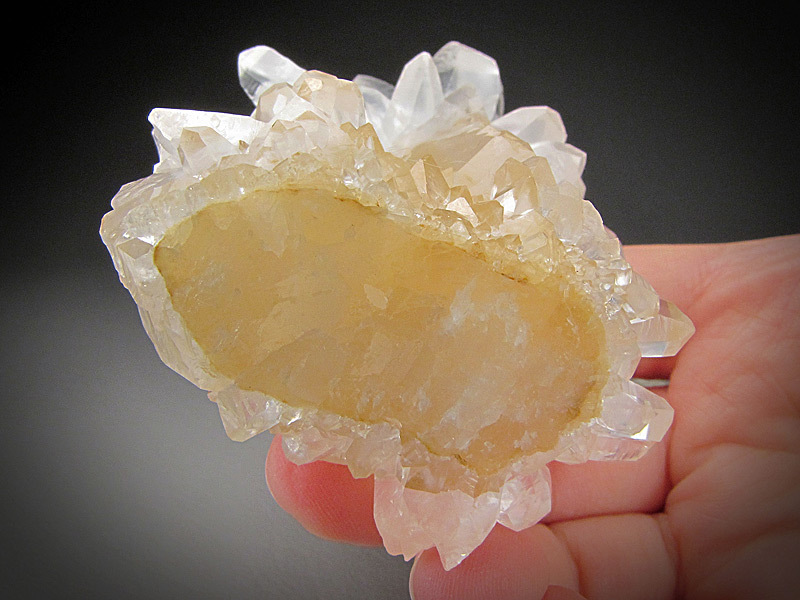 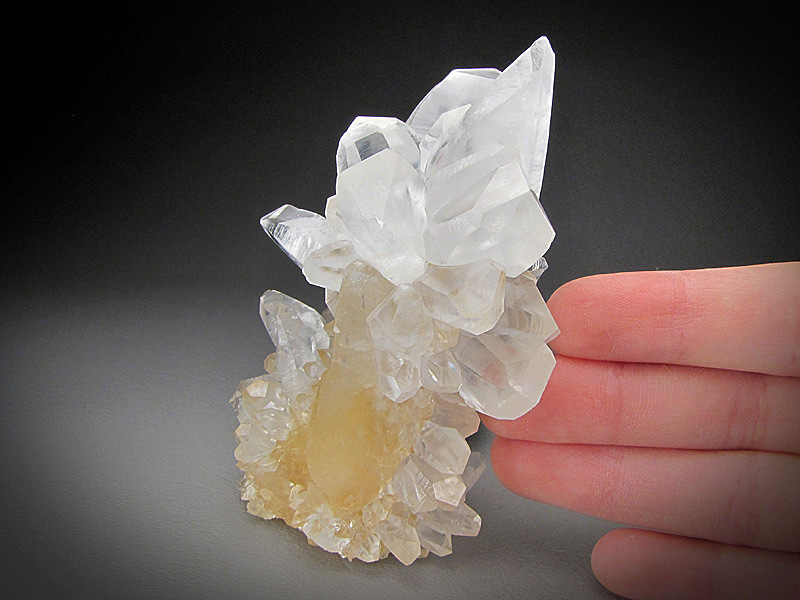 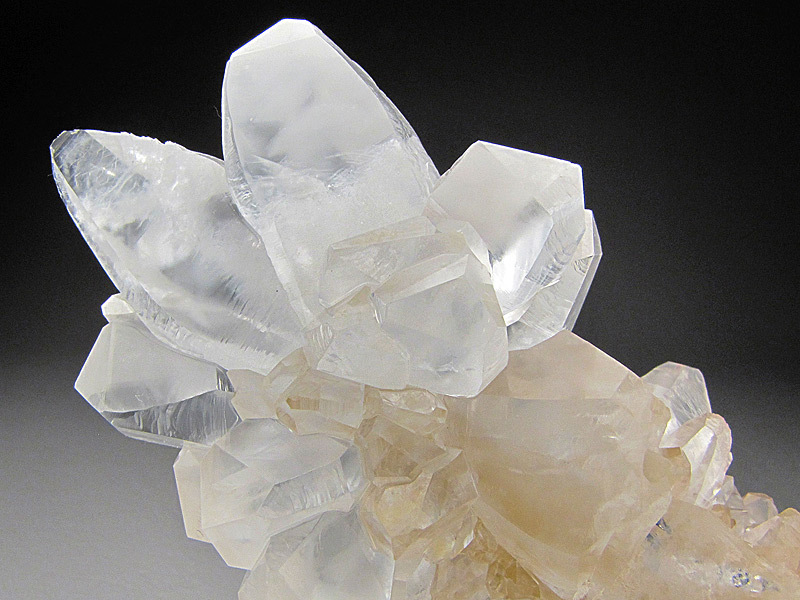 Lustrous, clear calcite crystals are arranged beautifully over an orange calcite core. 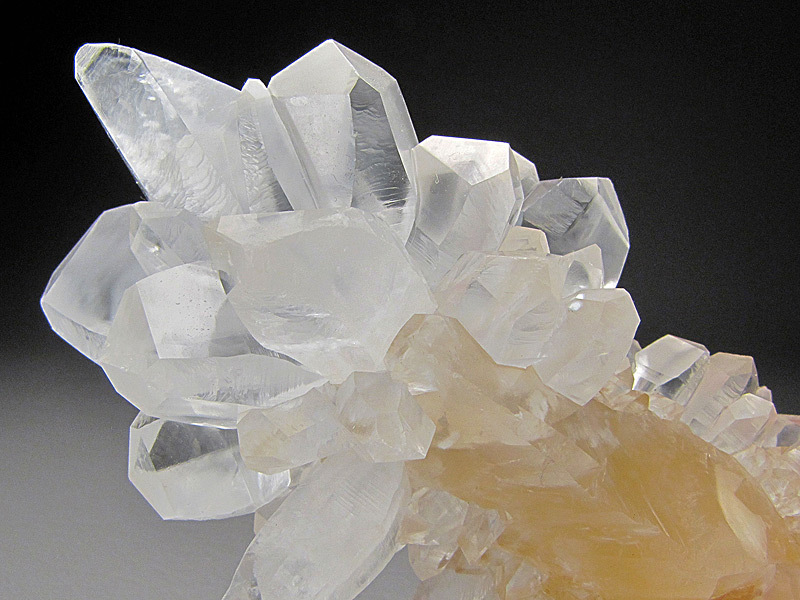 The locality is the Guilin Prefecture, Guangxi Zhuang Autonomous Region, China. 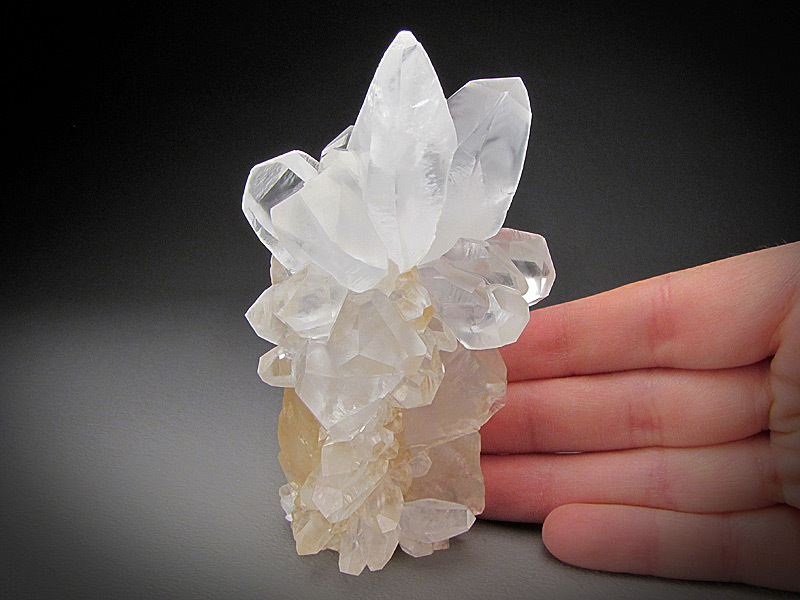 This piece measures overall 4.3 cm wide by 9.5 cm tall and 5.2 cm front to back. 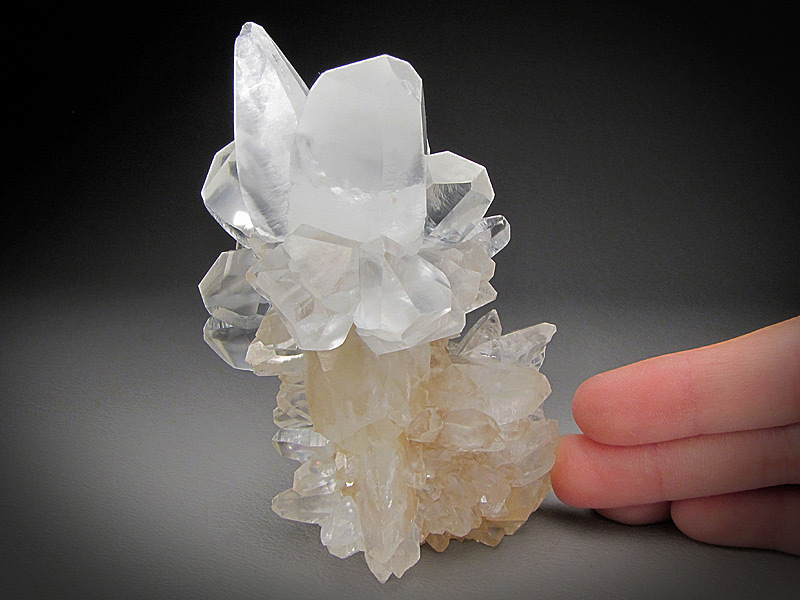 Piece is in good condition, but there are a couple, hard to find bruised crystals.